In the past, I already discussed several add-ins that can sync your MS Outlook with web service apps like Google Calendar and Facebook Contacts. 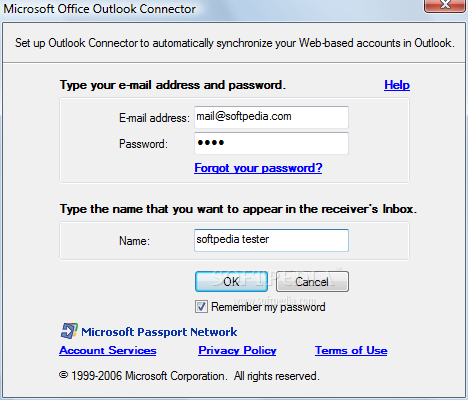 There is another MS Outlook add-in for another popular web service called Windows Live. If you use Windows Live services (Office Live or Windows Live Hotmail) to store or manage your email, calendar, and contacts, then you can use Outlook Connector to sync it with your Microsoft Outlook. Simply download and install the add-on, sign-in to your Windows Live account, then all contacts and calendar entries from Windows Live will be downloaded and synchronized with your MS Outlook. This Add-On works on Microsoft Office Outlook 2003 and Microsoft Office Outlook 2007.